What's the Difference Between Travel Warnings and Travel Alerts? The U.S. government seems to release travel warnings and alerts for different countries on a weekly basis, and there'll generally be a lot of press surrounding the announcement if it happens to be for a well-known country in the Western world. But what even is a travel alert? How is it different from a travel warning? The dilemma surrounding whether you should pay attention to the dozens of issued warnings is something we cover later on in this article. First, though, let's get started with some definitions. Travel alerts are short-term in nature and issued because of situations that could potentially put American citizens in danger. These scenarios could include political unrest, recent violence by terrorists, anniversary dates of specific terrorist events, or health crises. Basically, anything that could turn nasty for travelers, but isn't expected to last for very long. Some examples of travel alerts include: the political elections that are taking place in Haiti, which could result in violent demonstrations; the potential of a tropical cyclone in the South Pacific during the hurricane season; the potential for violence in a small and specific area of Laos; the heightened risk of violent demonstrations during the elections in Nicaragua; and the potential of a hurricane in Mexico, the Caribbean, and some southern states in the U.S.
Travel warnings, on the other hand, are a much stronger warning to travelers. Travel warnings are issued if the State Department believes that Americans should avoid traveling to a country altogether. This could be either due to long-term instability within the country or "when the U.S. Government's ability to assist American citizens is constrained due to the closure of an embassy or consulate or because of a drawdown of its staff." Let's take a look at some travel warnings that have been issued by the U.S. government. As of the writing of this article, there are warnings for a whopping 39 countries around the world. There are plenty of warnings you'd expect to see, like Syria, Afghanistan, and Iraq. But there are several warnings you may be surprised to learn about: The Philippines, Mexico, Colombia, and El Salvador -- popular travel destinations and places that you may have safely and happily traveled to recently. 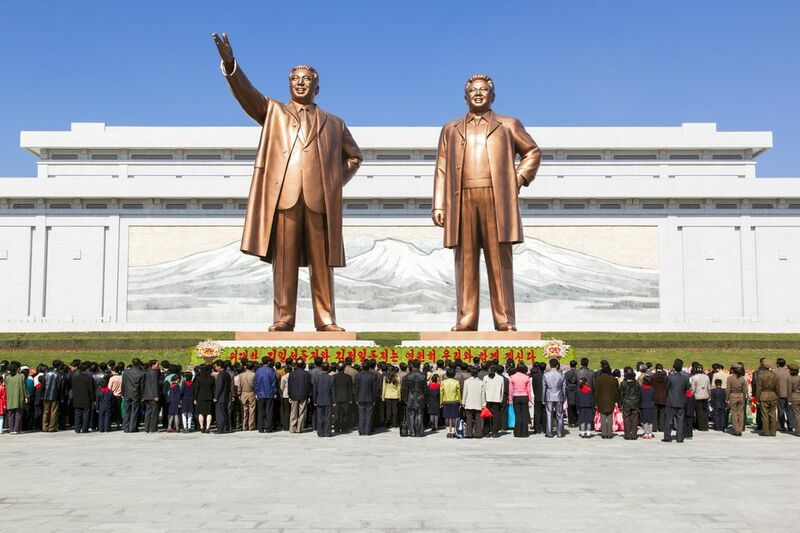 And if you've always had a burning desire to visit North Korea as a tourist, unfortunately, that's the one place on the planet the U.S. government has banned its citizens from visiting. Should You Be Concerned About Traveling to These Countries? Check recent posts on travel forums, such as Lonely Planet's Thorntree, for the country you want to visit to see what people are saying it's currently like in terms of safety. The U.S. government may make out that an entire country is extremely unsafe when in reality, it's a small part of it that tourists will be unlikely to visit. Read the travel alerts and warnings, too, to see which parts of the country the government recommends that you avoid. Additionally, it's worth speaking to your travel insurance provider before you leave to check that you'll be covered during your travels to these countries. Some insurance companies won't cover you if there's a severe warning for the country, but some will. Travel insurance is a necessity, so it's definitely something to check out before you leave. Keep in mind that the U.S. government will help you with emergency evacuation from a troubled country, but it comes in the form of a repatriation loan via the Office of American Citizens Services and Crisis Management (ACS), which can be called upon to rescue you from a bad situation abroad. Bear in mind that you'll have to wait overseas for the money to arrive and eventually repay the loan once you're home safely. Just another reason to get travel insurance! Find the country you'll be visiting on the list and check for travel warnings or public announcements, as well as how to find the U.S. Consular in that country. You can also get up-to-date, specific instruction and facts on current safety and health conditions on this page. "Registration is particularly important for those who plan to stay in a country longer than one month, or who will travel to...a country that is experiencing civil unrest, has an unstable political climate, or is undergoing a natural disaster, such as an earthquake or a hurricane."